A marriage between suede-effect softness and the zing of silver! 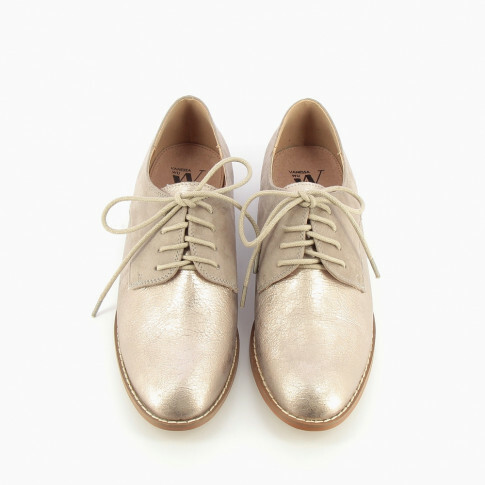 For a casual chic look, mix these brogues with an effortless combination such as skinny jeans and trench coat or skirt and fine knit. 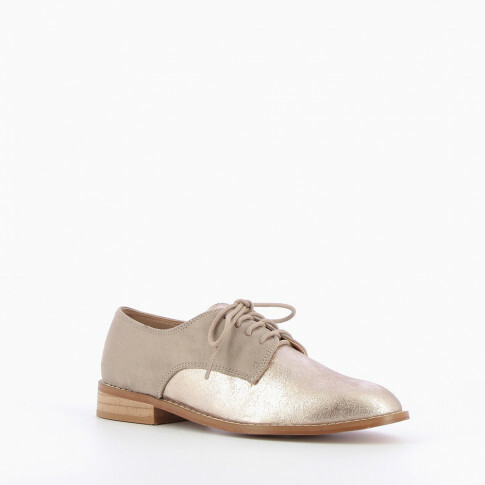 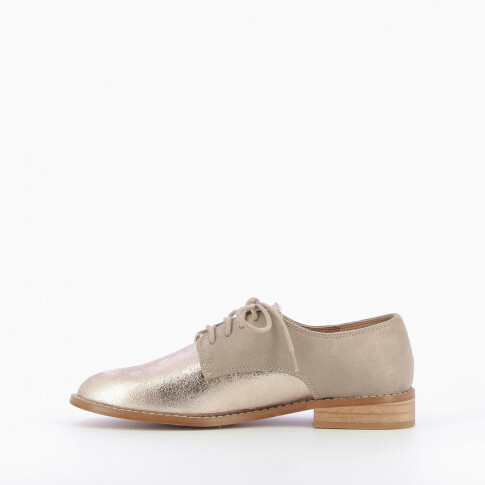 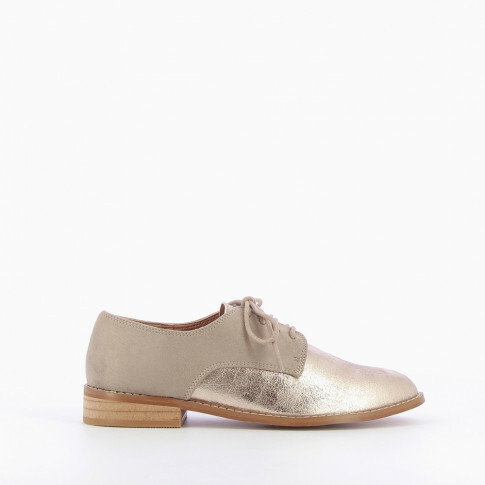 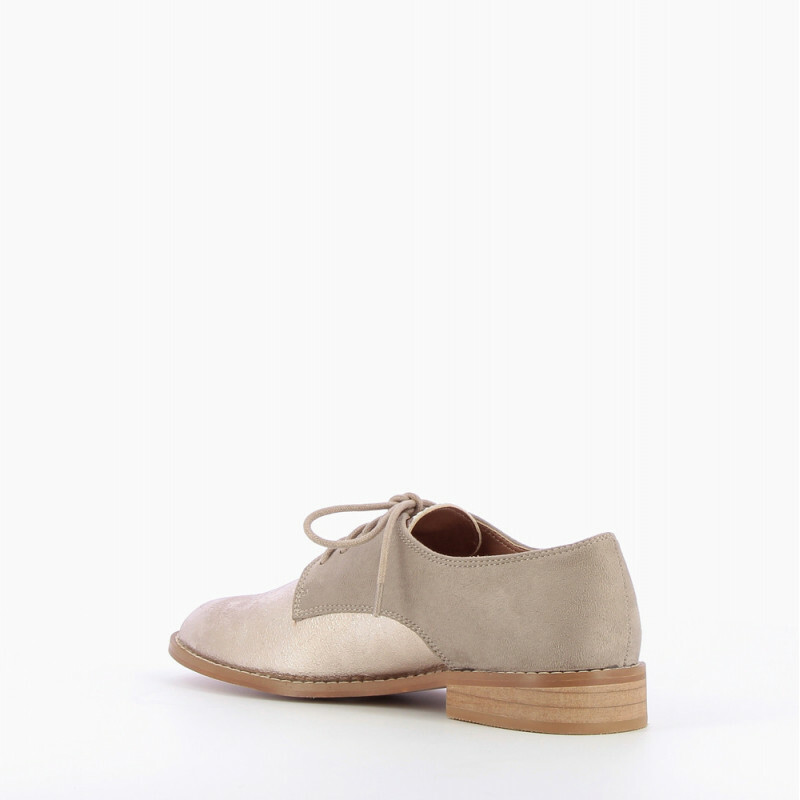 Flat bi-material brogues: silver front and taupe suede-effect at the shoe’s back. 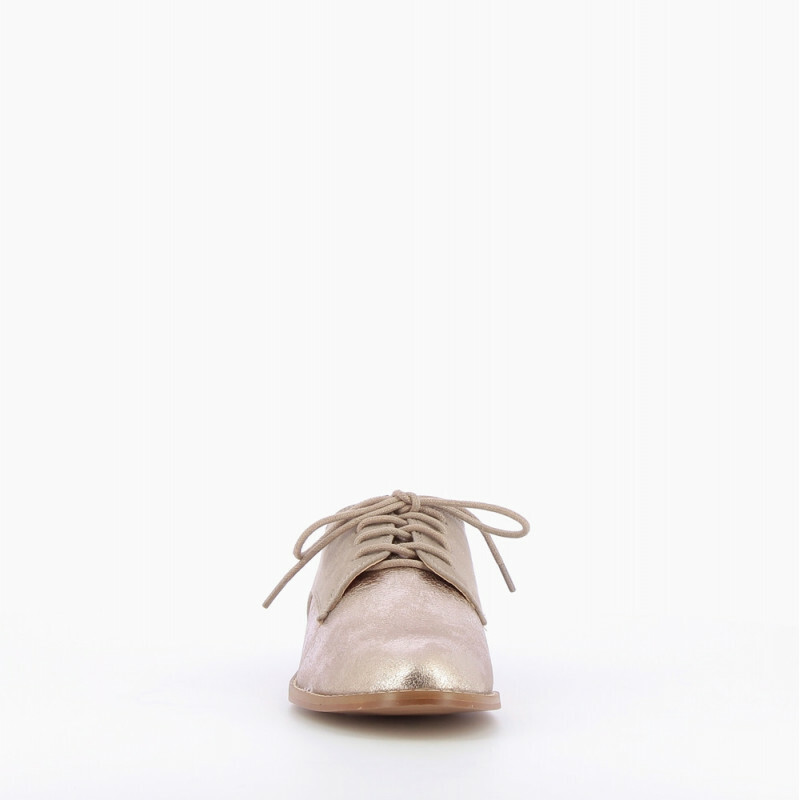 Laces and almond-shaped toe.